Gary Bachman represents a wide array of participants in the electric industry. He is actively engaged in regulatory matters concerning corporate structure, contracts, tariffs, compliance, and reliability. Gary has significant experience in litigation, finance, and transactional matters pertaining to electric utility operations. He frequently advises developers in all aspects of project development, including ownership structure, regulatory treatment, permitting, siting, and the environmental and natural resource issues which often arise. Gary’s clients are a diverse mix of investor-owned and municipal utilities, as well as independent generation and transmission developers, with interests in the electricity sector spanning from traditional fossil fuels, nuclear, and hydroelectric generation sources to emerging technologies, such as geothermal, solar and wind. 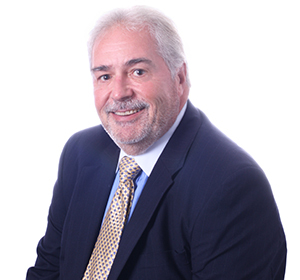 Gary previously served as a member of the firm’s Executive Committee. Assists numerous clients with reliability compliance matters before the Federal Energy Regulatory Commission (FERC), North American Electric Reliability Council (NERC), and Regional Reliability Entities, including registration, employee awareness training, audit preparation and follow-up, compliance documentation, investigations, requests for interpretations of reliability standards, settlement negotiations, and appeals before NERC and FERC of alleged compliance violations. Provides regulatory counsel and strategic assistance to project developers of a number of proposed transmission lines to move location constrained renewable power. Lead counsel of a group of utilities and power marketers in the multi-party Pacific Northwest litigation regarding California’s energy crisis. Successfully defended several firm clients in a FERC litigation proceeding filed by the State of California against allegations that sellers in California organized markets violated the Commission’s market-based rate quarterly reporting requirements. Represented an electric utility client in a FERC investigation regarding compliance with the Federal Power Act, the Commission’s regulations and the utility’s Open Access Transmission Tariff, which has since fully settled, following FERC’s issuance of an order approving the settlement. Crafted an innovative settlement involving renewable resource credits for a client involved in the California Refund Litigation, arising out of the California electricity crisis of 2000 and 2001. Crafted the initial settlement of the MISO/PJM seams elimination charge litigation on behalf of a Midwest investor owned utility. Developed structure for and filed transmission formula rate case at FERC for a major public power transmission owner. Represented new entrants into the emerging EIM market. Successfully prosecuted a Complaint at FERC by a public power entity over the structure of capacity market mitigation rules. Panelist, "Looking Forward: Implications of FERC's New Policy Favoring Negotiated Cost Allocations for Merchant and Non-Incumbent Transmission Developers"